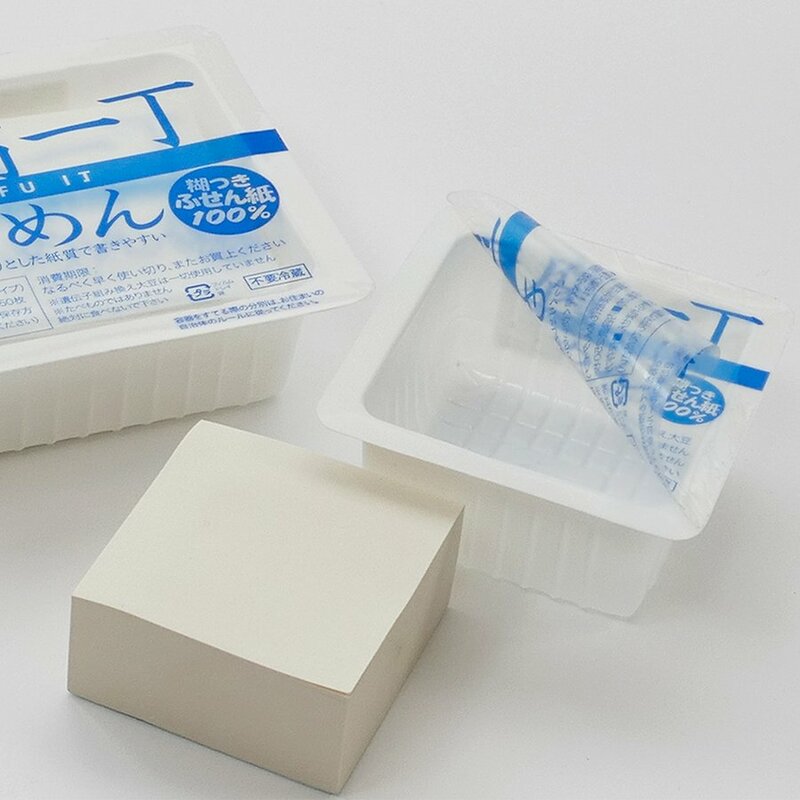 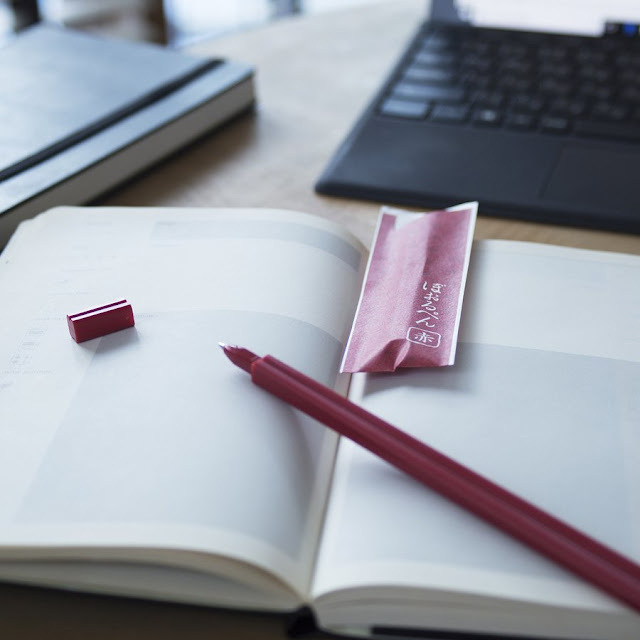 Tokyo-based design and planning firm Geo Design came up with a series of stationery products inspired by Japanese food and food accessories. 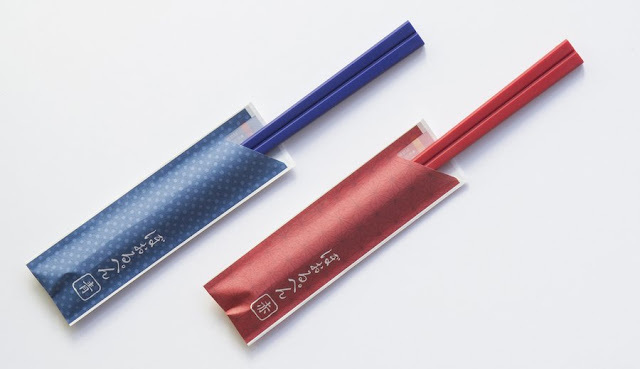 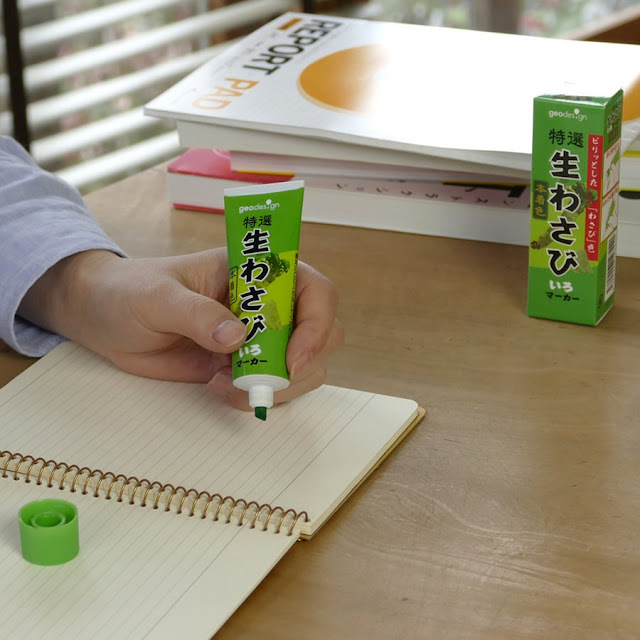 Their lineup includes wasabi tube highlighters, kamaboko stickies, tofu notepads and chopstick ballpoint pens. 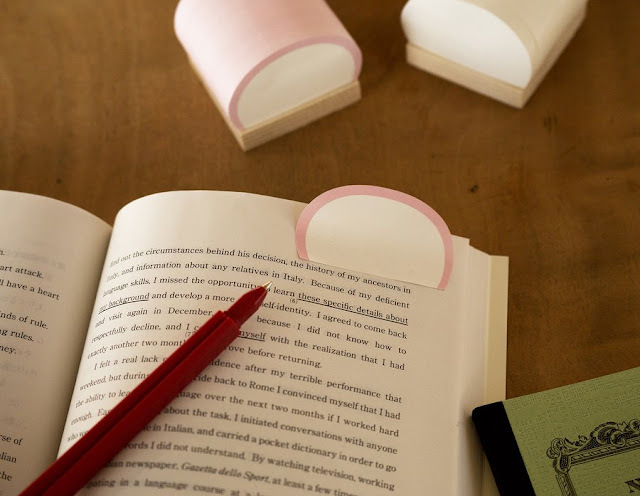 They’re make for an easy way to add some playfulness to any desk, which is exactly what the company set out to do. 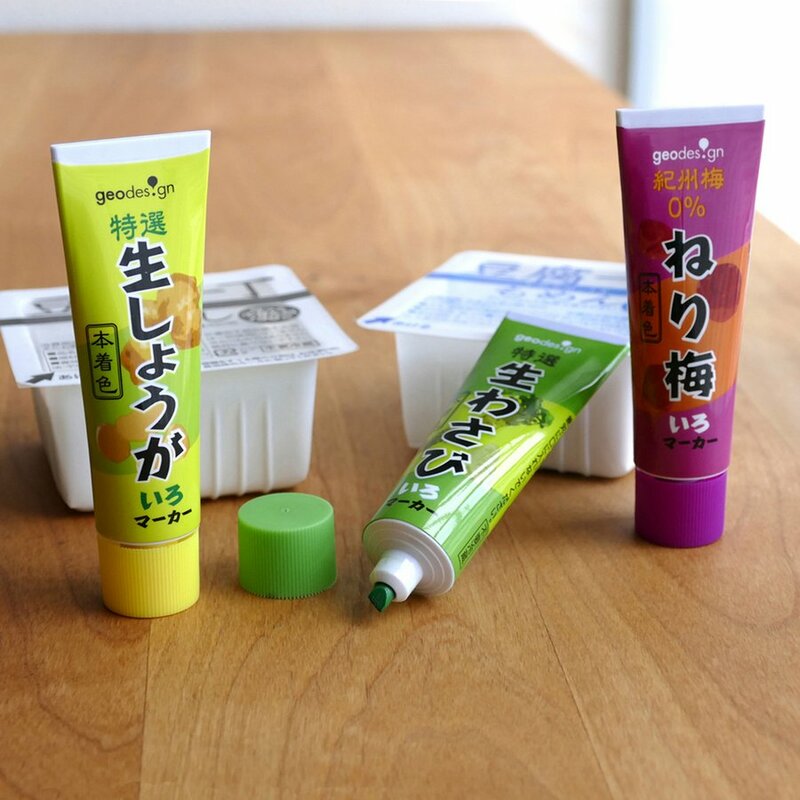 If you can navigate their Japanese website, all the products are available through the design company’s online shop. 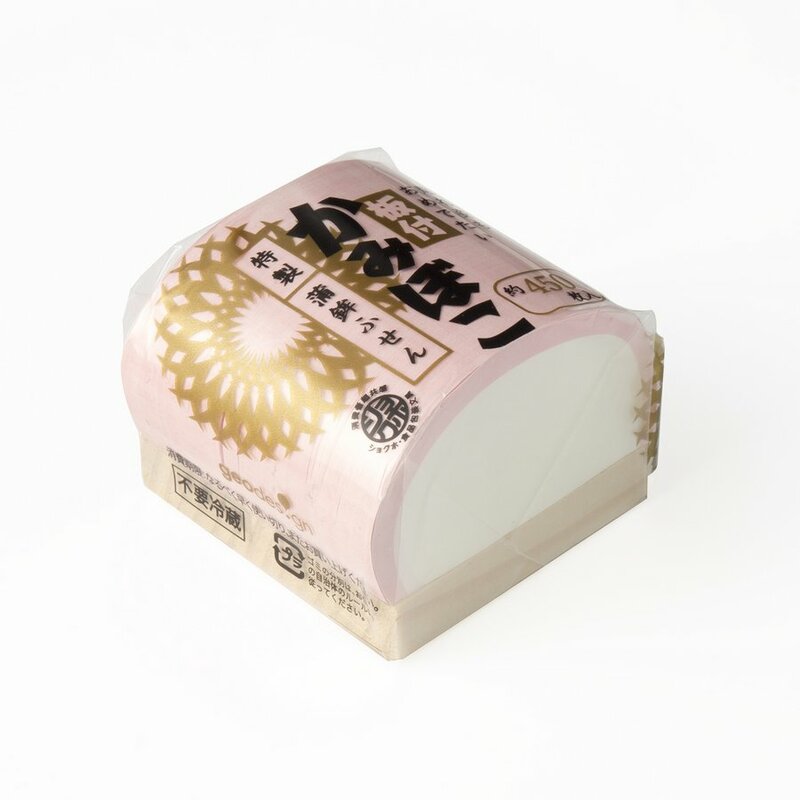 Kamaboko stickies that come in pink and white.